From circus to cutting-edge theatre, DanceXchange's Autumn Season has an eclectic mix of dance shows coming to Birmingham. Some of the best international artists feature in the line-up for DanceXchange - the Midlands-based dance house that uses The Patrick Centre in Birmingham Hippodrome for performances. Highlights of the Season from October 1 to February 13, 2016, include a world premiere of Coal by Gary Clarke Company, which marks the 30th anniversary since the end of the British miners' strike, and Scottish Dance Theatre performing a new full length version of Damien Jalet's YAMA. The season opens on 1 October with Birmingham's ACE Dance and Music with a double bill titled Mana: The Power Within. It features two emotive and spiritual works directed by Gail Parmel, presented as part of Birmingham Black History Month. The first, Thousand Shepherds, choreographed by Jose Agudos, is a visual celebration of discipline and dedication that was inspired by two months Agudos spent in a monastery in India. While Mana, choreographed by South African Vincent Mantsoe, transports the audience to ancient times and is rooted in the Sangoma tradition evoking the spirit and earthy ambience of African dance and Shamanic beliefs. On October 9, the UK premiere of Supernatural is performed. This production by Fierce Festival and DanceXchange opens on a campsite with a hot pink terrain under a fluorescent sky. Performance artists Simone Aughterlony and Antonija Livingstone are behind the show that is described as "exploring the meeting place between choreography and performance art in an elegant use of movement, coupled with challenging physical action that dissects our perceptions of gender". On 16 & 17 October, there is a piece from the inaugural winner of Matthew Bourne's New Adventures Choreography Award - James Cousins. James Cousins Company presents a double bill of Without Stars and There We Have Been, which is inspired by the best-selling novel Norwegian Wood by Haruki Murakami. The production portrays two sides to a tender story of love, loss and loyalty. October 29 & 30 sees Bromance bring the fun and movement of the circus to the Patrick Centre. 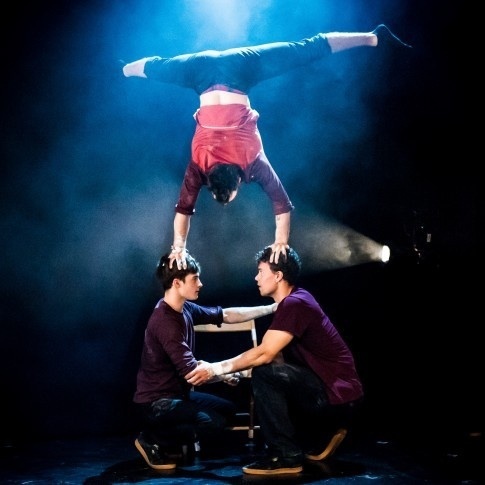 Barely Methodical Troupe is made up of Britain's hottest young acrobats who won the 2014 Total Theatre Award and Jackson's Lane Award for Circus at the Edinburgh Festival. A DanceXchange spokesman said of Bromance: "The company mix their enjoyable chemistry and humour with exceptional skills in parkour, hand-to-hand acrobatics, Cyr wheel and more. Relationships are at the heart of Bromance, where handshakes become handstands and backslaps become backflips." 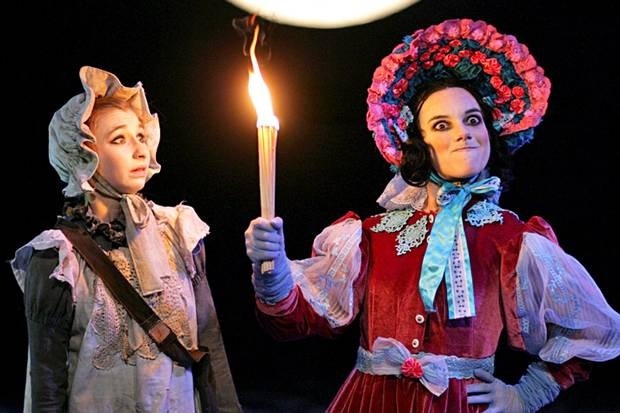 Arthur Pita's exceptionally good The Little Match Girl won over thrilled audiences when it was performed in Birmingham last year and due to popular demand, the show returns for two shows only on Saturday November 14. Based on Hans Christian Andersen's classic story, this touching family-friendly tale of an impoverished young street girl's hopes and dreams is beautifully told through dance and song, featuring original live music by Frank Moon. Scottish Dance Theatre, Scotland's national contemporary dance company, brings choreographer Damien Jalet's critically acclaimed YAMA as a brand new full length work to The Patrick Centre on November 26 & 27. Jalet has been responsible for some of the most revered productions of the last 10 years, including Babel, which won a Laurence Olivier Award 2011. Jalet's choreography in YAMA is promoted as "hypnotic and the tangled ensemble of exceptional dancers, oscillates between a moving sculpture and a possession ritual, staged on a magnificent abstract set". Akram Khan's DESH was an instant hit with audiences and critics alike when it was first presented in 2011. Now, Akram Khan Company and director Sue Buckmaster of Theatre-Rites have adapted this much-loved production to present Chotto Desh, for children aged 7 and their families on January 29 & 30, 2016. Chotto Desh, meaning 'small homeland', uses a mix of dance, text, visuals and sound to tell cross-cultural story about a young man's dreams and memories from Britain to Bangladesh. Completing the 2015-16 season is the World Premiere performances of COAL from Gary Clarke Company between February 11 & 13, 2016. Marking the 30th anniversary of the end of the 1984-5 British miners' strike, COAL uses dance to take a nostalgic look at the hard hitting realities of life at the coal face. It promises to be emotional as it shines a light on community, solidarity and survival. It also explores the darker underbelly of the mining industry while featuring a live colliery brass band. Tickets cost £12 or £8 concessions, except Bromance and YAMA, which cost £15 and £10 concessions. To book, call 0844 338 5000 or visit the DanceXchange website.